Chris hasn't connected with their friends on Goodreads, yet. A 24 year veteran of the FBI, Chris Voss is one of the preeminent practitioners and professors of negotiating skills in the world. He is the founder and principal of The Black Swan Group, a consulting firm that provides training and advises Fortune 500 companies through complex negotiations. 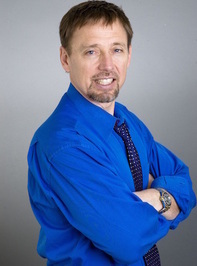 Voss has taught for many business schools, including the University of Southern California's Marshall School of Business, Georgetown University's McDonough School of Business, Harvard University, MIT's Sloan School of Management, and Northwestern University's Kellogg School of Management, among others. To ask Chris Voss questions, please sign up.
" Kathleen, Thanks for taking the time to read and review my book! I'm glad you found skills that you feel work for you. Best of luck in your negotiatio Kathleen, Thanks for taking the time to read and review my book! I'm glad you found skills that you feel work for you. Best of luck in your negotiations. ...more "
" Thanks Abby for the great review! Congrats on graduate school and the awesome scholarship! "